“Kill Switch”! Cyborg has been deactivated! Now, Vic Stone must rely on help from the outside to break into S.T.A.R. Labs and switch the Justice Leaguer back on. 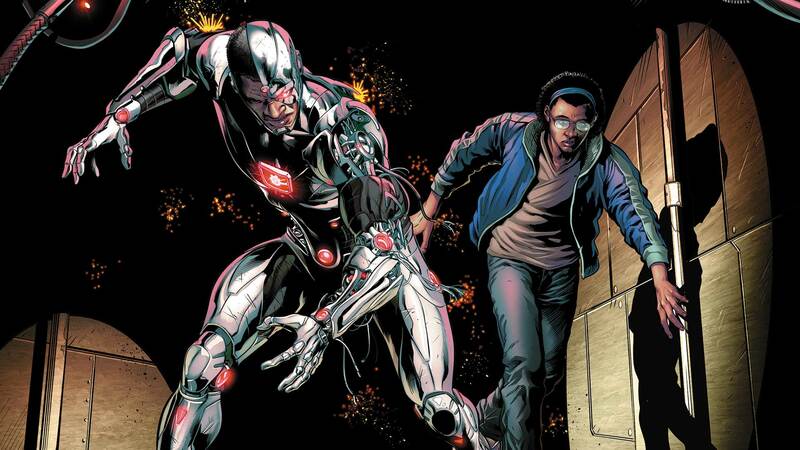 But can Cyborg rely on a clever but luckless streetwise thief whose only claim to fame is an arrest record a mile long?